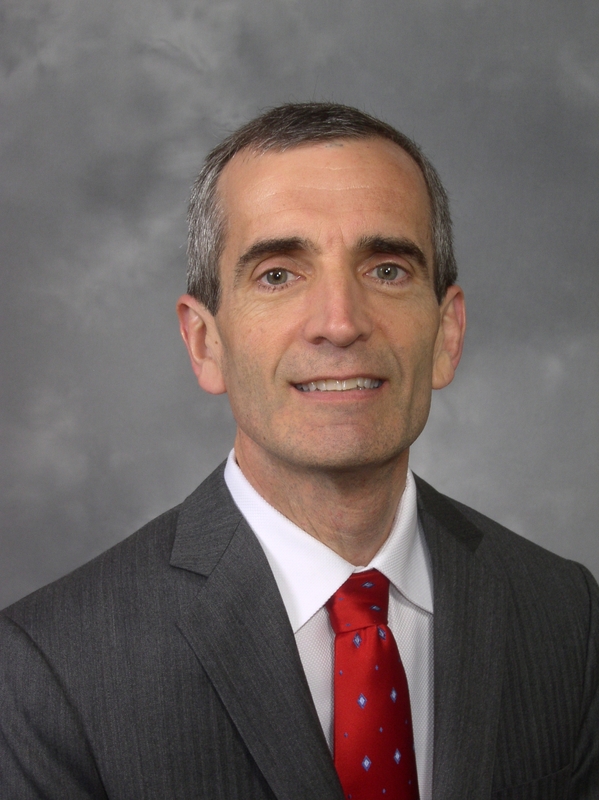 Greg Leveille is Chief Tech-nology Officer for ConocoPhillips. You’ve said that oil and gas companies need to shift into higher gear when it comes to innovation. 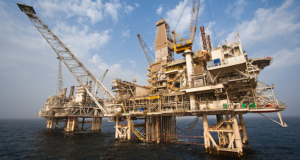 What is ConocoPhillips’ approach to promoting innovation? We’re pursuing a broad-based approach that includes engaging leadership at multiple levels and training them to foster innovation. We’re trying to destigmatize failure when failure is in service to finding better solutions. We’re accelerating adoption of new technologies by breaking down barriers, and we’re training our entire workforce of around 11,000 people on how to use data analytics to improve productivity. How do you destigmatize failure? In our high-capital, high-risk industry, failure is often seen as catastrophic. Greg Leveille, Chief Technology Officer, ConocoPhillips. There are certain parts of what we do – like personal and process safety – where we have to ensure a good result every time. But when it comes to trying to find ways to develop new approaches to improve performance, we want to give our employees the latitude to try new ideas. We’ve had conversations with our employees and our leadership around what a good failure looks like. Good failures occur when you attempt to push the envelope or develop ways to further cut cost of supply. Is ConocoPhillips seeking to be more of an early adopter rather than a fast follower? In certain areas. We are trying to be purposeful in the areas where we focus the most energy. 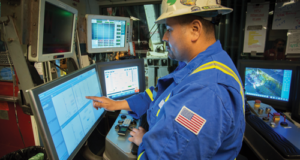 For example, we’re using analytics in almost all of our drilling operations to optimize performance. 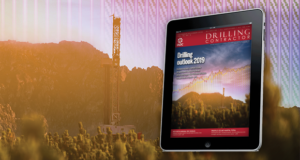 We’re working with a number of drilling contractors and rig builders to advance automated drilling. And we have an advanced P&A program to develop new ways to do things like cut pipe and set plugs. Do you feel like you see the same openness to innovation across the industry? It’s something that more companies are recognizing as a necessity, rather than something that they could choose to do or not. We’re in a very competitive industry. Everyone has to be at the top of the game. It’s the same with drilling contractors. The progressive companies are looking toward the longer-term future and trying to build innovation into their way of working. At an industrywide level, what do you see as the major challenges to accelerating technology adoption? I’m Chief Technology Officer for ConocoPhillips. You would think I spend almost all of my time identifying and nurturing new technologies. But, frankly, I also spend a lot of a time trying to accelerate the adoption of technologies that are already proven. I think that finding ways to encourage better collaboration across organizational boundaries is one of the most promising things we can do to improve adoption. I was recently in Silicon Valley, where I saw several technologies that are focused on improving worker productivity – optimizing a series of tasks they need to do so that they can do them more efficiently, more effectively or more safely. But none of those technologies are ones that ConocoPhillips could implement on our own. It would have to be implemented along with, for example, the drilling contractor or the company providing the hydraulic fracturing services. 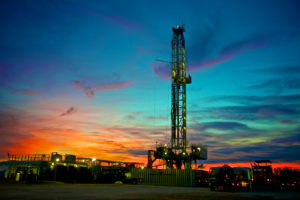 ConocoPhillips has cut its drilling times in the Eagle Ford (pictured), Bakken and Permian by 30%-50% by collecting and analyzing data, then finding new and better ways of working. At the end of the day, if you want to accelerate technology adoption in the modern oilfield, it really requires collaboration between multiple companies. That’s the only way to bring promising technologies to a point where they can make a big impact. Do you find that service companies are bringing operators into the fold earlier as they’re developing new technologies? With the most progressive companies, yes. 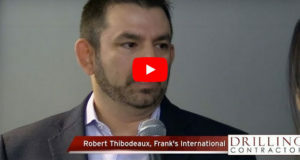 These companies recognize that you can make a big difference if you bring operators in early and then work collaboratively to look for ways to develop tools, techniques and approaches to lower the cost of drilling or increase production. Early engagement is important, and it’s something that we’re seeing more of in the industry. Is there anything you would like to encourage drilling contractors to do in order to facilitate technology adoption at the well site? Fully embracing the digital and data analytics revolution that’s going on in the industry is going to be critically important. We’ve been using digital equipment for decades, and even analytics have been done for a long time. But it’s in the last five years that there has been an explosion in digital and data analytic capabilities. 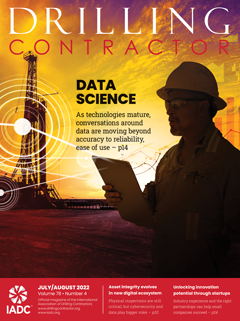 Drilling contractors need to deeply embrace analytics. 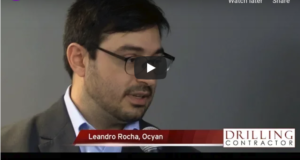 Start thinking about, for example, how they can put sensors in places that will allow them to optimize the performance of their equipment, and then share the right data with E&P companies to optimize overall performance. That’s going to be a big win. ConocoPhillips is working to train our entire workforce on this. We think drilling contractors need to do the same thing. Are you talking more in reference to people at the rig site or in the office? While there is definitely a place for high-end data scientists to work hand-in-hand with subject matter experts in the office, we’re finding that the closer you can get the analytics understanding to the workface, the more effective it’s likely to be. A lot of our best advancements in data analytics have come from subject matter experts whom either we’ve trained in the use of digital tools or who has trained themselves. Getting them as close to the workface as possible is where you’ll find a lot of the value. 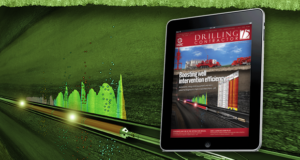 What are some examples of how automation/digital technologies are improving performance in drilling and completions for ConocoPhillips? We’ve cut drilling times in our big three unconventional reservoir plays – the Eagle Ford, the Bakken and the Permian – by between 30% and 50% over the past two years. We’ve done this by systematically collecting data, analyzing it, adjusting procedures and finding new ways of working. The improvements have been achieved in every part of the operation. There are big improvements like shaving days off of rig moves. 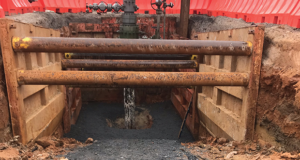 There are also advancements where we’ve been able to cut seconds off of connection times, which sounds trivial, but if you make hundreds of connections on hundreds of wells over the period of a year, you end up saving perhaps a whole well’s worth of time. Being able to achieve a 30% to 50% reduction in drilling times sounds like a significant improvement. Is that still just scratching the surface of what we can do with automation and analytics, or is that pretty far down the road? In some ways we are quite far along. For example, in terms of gathering high-fidelity measurements from our drilling operations, then looking hole section by hole section to compare between rigs and look for little improvements. Once we find them, we rapidly adopt the new approach so we can bring the standard up everywhere. In other areas, we are still fairly immature. 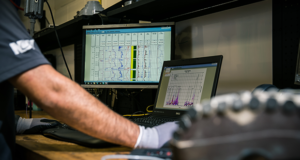 An example would be automated drilling and using sensors to determine what’s happening downhole in real time, then allowing a computer to optimize the performance of the drilling rig in a way that a human being wouldn’t be able to do. Do you find that the improvements you identify, say in the Bakken, can be easily applied in other basins like the Permian or Eagle Ford? Yes, the ability to transfer knowledge between various basins is really important. And we’re not just transferring between the unconventional reservoir plays in the Lower 48 but also around the planet. Some of the data analytics approaches we’ve developed in the Lower 48 we’re now using in Canada or the North Sea. 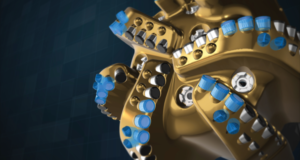 In Alaska, we’ve also made big advancements in drilling longer laterals and multilaterals with coiled-tubing drilling. We’re looking at transferring those technologies to other parts of the world. Do you find that the rigs on the market today have enough sensors to collect either the amount of data or data in the formats that you need to run the analytics you want to run? In general, yes. We tend to select rigs that have the right kit for the approaches that we are taking. On top of that, the cost to digitize the oil patch is really coming down. One of the technologies I saw on my trip to Silicon Valley was a wireless system that allows you to place sensors in many different places on equipment and then collect the data over a Wifi or bluetooth type of system. Technologies like that are going to let us do more and more with digital data. Is interoperability still a major challenge to widespread adoption of automation technologies? Yes, there are plenty of challenges around interoperability. Many companies have developed systems that don’t interface very effectively with others. If you look at the oil and gas ecosystem as a whole, many types of data are siloed from others. The good news is that a lot of those silos are breaking down. We’re finding more and more ways to bring data into central data storage systems, whether that’s in the cloud, integrated data warehouses, or data lakes. I think that, within 12 to 24 months, you’re going to see interoperability challenges continue to break down. We still have work to do, but in the long term I don’t think it’s going to be a limiting factor. Lateral lengths continue to grow in many unconventional basins, but there’s some discussion about whether drilling more but shorter horizontal laterals might improve the well’s production over its lifetime. What is your view on the trend of ever-longer laterals? I believe the industry needs to and will find ways to continue to lengthen the wells. With the horizontal, fracture-stimulated development approach, the fewer wells you have to put in the ground, the better. In the Permian and Eagle Ford, we’ve been extending lateral lengths, looking for ways to do more with fewer wells. That will be a continuing focus for us. Frankly, a lot of the challenges with longer laterals hasn’t been in the drilling space but the completion space. The trick is how to get a good stimulation at the toe of the horizontal lateral. 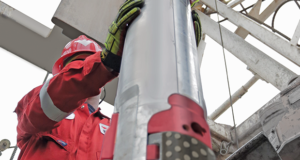 Service companies, working with operators, have developed mechanical devices that allow for better fracture placement and better wellbore cleanout post fracturing. That’s been a key advancement allowing longer laterals to fully contribute. Do you see standardization being a main driver of new developments for completion technologies going forward? Standardization has been one of the ways in which the industry as a whole has been able to reduce the cost of supply. If you look at the unconventionals from a high level, we are doing very similar things across many different basins. This allows service companies to optimize their equipment for a standard set of procedures. However, there is one trap with standardization. Once you set a standard, you’re more or less saying, “This is the way we’re going to do it from here forward.” It potentially limits innovation. Selecting the right moment at which to standardize things is, therefore, important, while still keeping open the option to try new approaches. Many parts of the industry still work in silos. 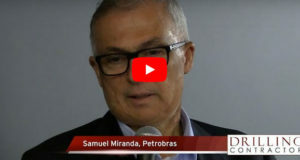 How can large E&P companies help their employees to come together and share knowledge/information? One of the actions we’ve recently implemented is an enterprise-wide data-sharing policy. This makes it clear that no individual team or organization has the right to withhold technical data from others who have a need to use it to identify ways to improve business performance. That’s been a big change for our company. Another action we’re taking is around data exploration and minimizing the amount of time that individuals have to spend finding the data they need. It’s been observed that 80% of the time on a project is spent trying to find data, then 20% doing analyses. We want it to be the other way around. We should be spending 20% or less of our time on finding data, and then you get to spend 80% of your time figuring out the key insights. 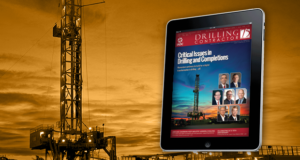 In what ways can operators and drilling contractors work together more effectively? We’re already seeing a lot of very positive things from drilling contractors. 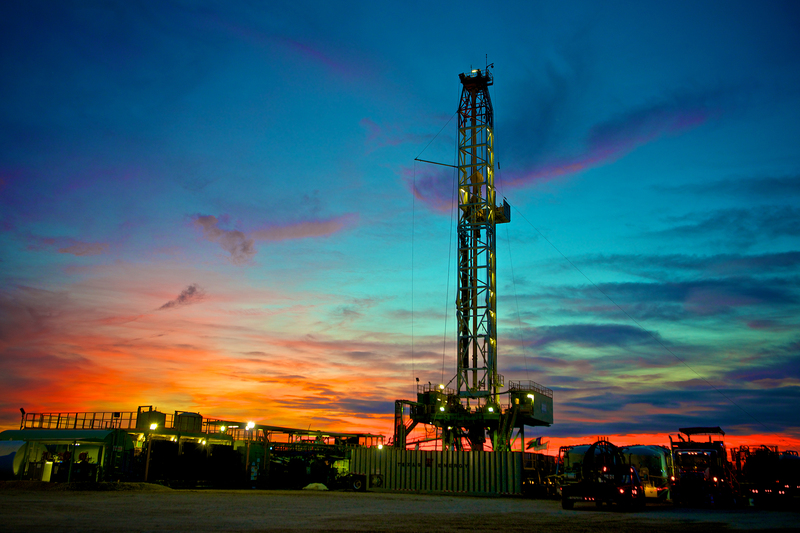 In the Eagle Ford, for example, we have cut the per-well drilling time from over 20 days down to around 10. That’s a big change and not something you can achieve without working with drilling contractors. But I think we will continue to collaborate on things like automated drilling and how the system will come together to utilize computer-driven controls of the rate of penetration or the weight on bit. We also talked about the length of laterals being an enabler for more profitable developments. If you can drill a smoother wellbore, keep it in the target zone, you’re going to maximize value creation. That’s a place where optimization through the use of automated drilling technologies is going to make a big difference. Finally, I do see room for growth for the sharing of data and knowledge between drilling contractors and E&P companies. We are working to gather more data and analyze it in a very systematic manner. 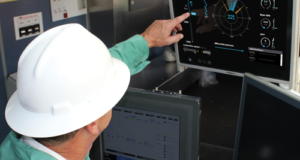 Embracing the power of data analytics to improve performance is something that I think drilling contractors could get further behind. 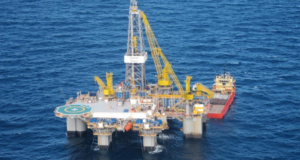 From a business perspective, it would be good both for them and for ConocoPhillips. We’re seeing more contractors adopting performance-based contracts. Do you see that model helping to incentivize them to embrace the things that you would like them to embrace? At the end of the day, we select companies we believe are going to be top performers – whether you craft a contract to specifically incentivize a particular behavior or you just make it very clear that performance is going to be the differentiator. I think it’s become clear in our industry that improving performance year on year, and by substantial amounts, is the way to win. It really is in everyone’s best interest to look for ways to improve cost of supply. The manufacturing cost for a barrel of oil or a molecule of gas in the United States has come down tremendously in the last four years. It’s made the United States the most competitive market on the planet for producing oil and gas; it’s a great success story. ConocoPhillips and the companies we work with need to continue to embrace that improvement mentality. I think contracts will change with time, and I can’t predict where they will go. But I do know that performance is going to improve, and the companies with improved performance are going to be the winners. You mentioned earlier your visit to Silicon Valley. Will our industry turn more toward the high-tech industry for innovation in the coming years? Not only is the E&P industry turning toward Silicon Valley to access new ideas, but Silicon Valley is also recognizing how big an industry oil and gas is in the United States. 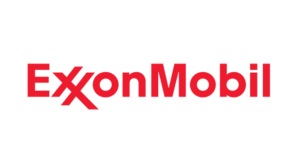 We’re now the world’s largest producer of hydrocarbons. Some thought leaders in Silicon Valley have begun to realize the size of the opportunity. Having them turn some of their thinking time to how our work can be improved will be very valuable to our industry. What do you think the industry has been able to change during this downturn to make ourselves better, and what do you think we haven’t been able to change? I think we’ve been doing really well at getting laser-focused on activities that have the biggest impact on the cost of supply, which is a metric that describes the oil or natural gas price required to get 10% or greater rate of return on our investments. We’ve been able to take our cost of supply from the $70 range just a few years ago down below $35 per barrel now. The thing that is available to our industry but we haven’t yet taken full advantage of is, as I mentioned earlier, the use of data analytics as a tool for every employee. I think back to when I was starting my career – there were no computers in our offices. It was a very different world. When computers came into the industry en masse, the industry changed dramatically. That type of change is happening again with data analytics. We think every employee is going to be using analytics in some way. Many will be using analytics in powerful but relatively simple ways. Visualization tools will allow them to better understand the data that they’re working with and help them make better decisions, without requiring much assistance from trained data scientists. On the other end of the spectrum will be high-end data analytics, with tools like machine learning and artificial intelligence. Regardless of the level of complexity, we’ll be using the power of data analytics to supplement human insights and capabilities so that we can do things much more efficiently and effectively. How are you changing the way you’re training your employees on how to use all these new technologies? It’s a three-pronged approach. We’ve already trained thousands of our employees in the use of visualization tools, and we’re starting to train them in mid-level analytics tool sets. We’re creating citizen data scientists out of many of our subject matter experts. These are individuals with degrees in petroleum engineering, geoscience or business, and we’re immersing them in the world of data science. We’re also training our leadership to think differently about the questions they ask their employees. When you’re using data analytics, leaders have to think differently in the assignments they give to their teams, as well as in their expectations. Finally, we’re working with universities to adjust curriculums so that new-hires have the data analytics background that they need to pick up those tools from day one.